Check your inboxes, Shadowhunters! 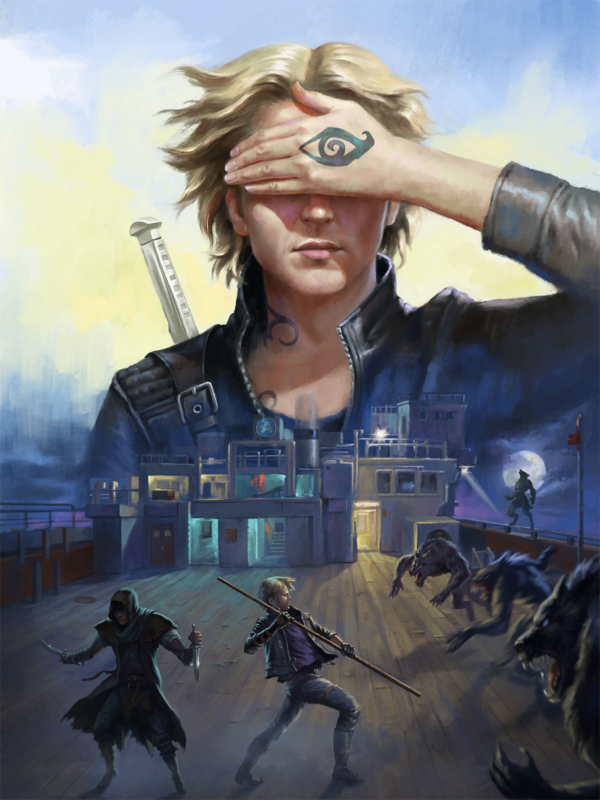 Cassandra Clare sent out her March newsletter and subscribers were treated to a new snippet from the first installment of Ghosts of the Shadow Market, Son of the Dawn, and more! *Emphasis by me because 😮 😮 This sounds so mysterious! They looked together at the staff. The letters were worn by time and Zachariah’s own flesh, but they had been struck deep into the wood in the precise places where Zachariah would put his hands on them when he fought. So, in a way, they would always be fighting together. The letters were W and H.
No, said Brother Zachariah. I am the only one. I carved them into the staff on my first night in the City of Bones. Brother Zachariah still considered himself a Shadowhunter, but Jonathan clearly did not mean any offense. No, said Jem, because he was always James Carstairs when he spoke of what was dearest to him. Not mine. will we be seeing any new characters that we’ve never seen before in Ghosts of the Shadow Market and will they appear in upcoming books? Or is it only characters that we’ve seen before? C: Just as there were characters in the Bane Chronicles and Shadowhunter Academy who were introduced in those novellas, Ghosts will contain both characters we’ve seen before, and also characters we’ve never seen and are meeting for the first time. We’ll see them again in TEC, TDA, TLH, etc. They’ll be re-introduced in the main series-es, but it’ll be fun to have seen them already in the novellas. will GOTSM progress as a story like tftsa or be more like tbc with the short stories set in different timelines? also will it start present day or during the time around tid/tlh? will we ever know more about lily’s life? About GOTSM, i’ve been a little confused. Will the POV be entirely Jem’s, as it was Magnus’s in The Bane Chronicles, or will it be mostly Jem’s , but with sprinkles of other people, like in Tales From The ShadowHunter Academy? Matthew is fifteen in his chapter in GOTSM, and the incidents and his choices in his story influence his behavior and his character, and impact his fate enormously, casting a long shadow on his life to come. As all great sins must. Son of the Dawn is published on April 10! A print editon with two additional stories is going to be published by @simonteen in summer 2019.